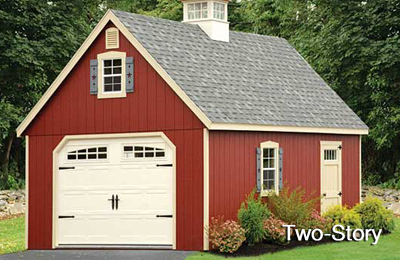 Need a garage to park your car out of the elements? 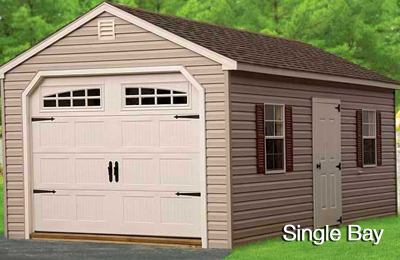 We have the garage that will fit the demands on your list. Whether it’s just more room to store your things or a nice place to have your workbench. 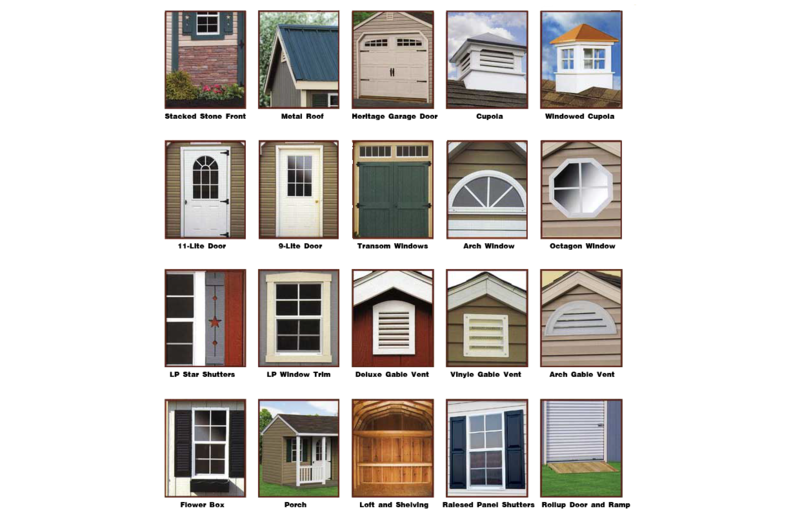 From our two-story gable to our single-car and modular units, all are built to last! 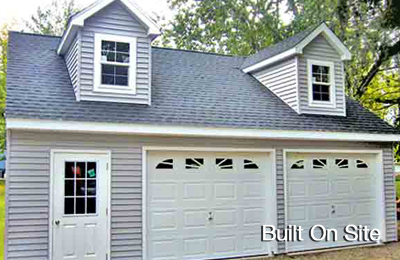 Let us build your garage for you and help add value to your home and property. 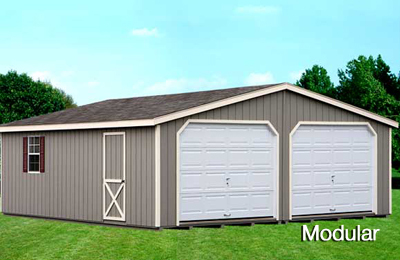 Our Basic Garages can be built in various sizes with vinyl or wood panel siding, assorted colors and featuring any of our many options.